"After two decades of investing and helping other investors, I'm still convinced that no-load mutual-funds and ETFs are the best investments for protecting and growing your wealth." 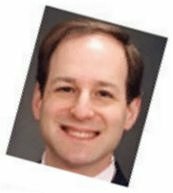 Mark Salzinger welcomes you to noloadfundinvestor.com! The No-Load Fund Investor, my flagship monthly newsletter, contains my exclusive commentary, model portfolios and extensive current data on nearly 1,000 leading no-load funds and ETFs. It's also the only place to get my specific fund recommendations on where to invest now for maximum profit with safety. Sheldon Jacobs founded this highly acclaimed monthly newsletter in 1979. In 2003 Mark Salzinger became publisher and editor. Each monthly issue offers practical advice and sound strategies for making the most of today's booming no-load fund and ETF markets. 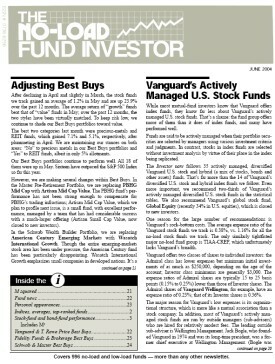 The No-Load Fund Investor is comprehensive, too, tracking nearly 1,000 no-load funds and ETFs, more than any other newsletter. It combines data, comparative reports of performance and specific recommendations. In addition, you can follow model portfolios targeted to different goals, lifestyle and preferred source of transactions. An annual subscription to the newsletter is regularly $199, but check out How to Order The No-Load Fund Investor for savings! The newsletter is regularly $199 for 12 issues. But take advantage of the SPECIAL WEB OFFER and SAVE! For questions regarding our services or a subscription, call (800) 706-6364. Ask for our World Wide Web Special Offer.